Kaiapoi’s Marcus van Klink feels prepared for the this weekend’s Otago Classic Rally, which also doubles as the second round of the Brian Green Property Group New Zealand Rally Championship. The Otago event is the star classic rallying event in New Zealand, regularly attracting overseas stars to take on the best in the country. 2012 saw van Klink and co-driver Dave Neill take victory in the prestigious event. The 2015 edition event is expected to be highly competitive, with van Klink not only coming up against the best of the local domestic competition, but also current WRC star Hayden Paddon and former WRC star Alister McRae. For Otago, van Klink has two focuses. Not only is there the opportunity for a second victory, but also the opportunity to score points in the Historic Challenge of the NZRC, which van Klink leads after the opening round. 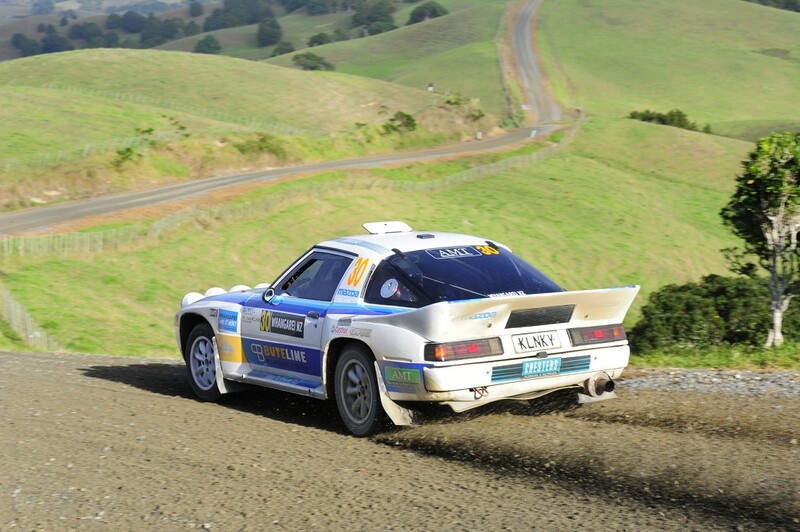 For the Otago event however, van Klink and the Chesters Plumbing Supplies Mazda RX-7 Group B Replica will face tough opposition from the BDA Escorts of former national champions Paddon and Brian Stokes. “We’re gonna have a real fight on our hands this weekend, which is a good thing. To be fair if we can be on the podium with Alister and Hayden I’ll be rapt with that,” says van Klink. “At least we know we can beat Regan Ross, he’s an easy beat,” says the plumber, having a dig at his mate. The Drivesouth Rally Otago gets underway with a ceremonial start on Friday May 8, with the competitive action getting underway the following day. After eight gravel stages total 130km, crews finish off the day with the traditional tarmac super special stage. The following day sees a further seven special stages totalling 147km with bonus points available on the power stage, the iconic Kuri Bush, which makes up the final stage of the event.